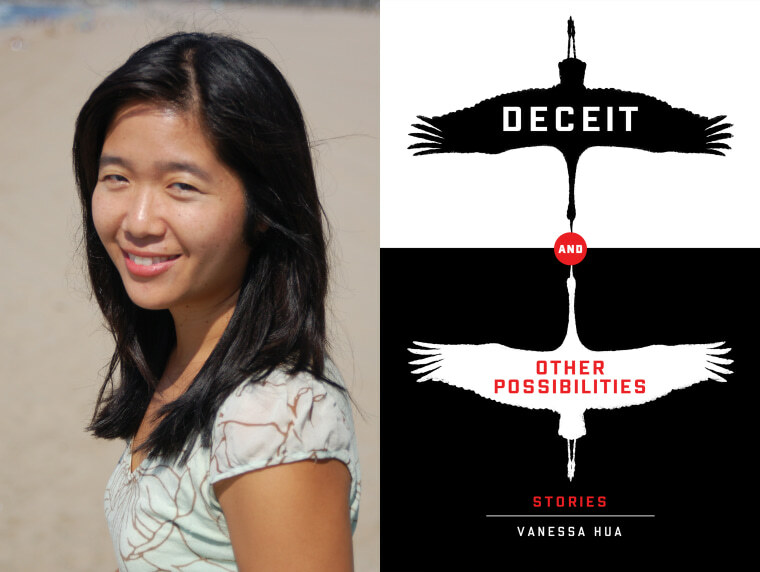 “Deceit and Other Possibilities,” Vanessa Hua’s debut collection of short stories published by Willow Publishing, has won the 2016 Asian/Pacific American Award for Literature in Adult Fiction, the Asian/Pacific American Librarians Association (APALA) announced this week. In the collection, released in September 2016, Hua explores the experiences of immigrants and ideas of identity, choice, home, and otherness. "I'm thrilled to receive this award, and am grateful to be counted among such illustrious winners,” Hua told NBC News. “I'm indebted to librarians who make a place for all readers and spread the word about books that reflect the world we live in." APALA also announced winners in four other categories, including “Picture Bride: Stories” by Barbara Kawakami in Adult Non-Fiction, “Outrun the Moon” by Stacey Lee in Young Adult, “The Land of Forgotten Girls” by Erin Entrada Kelly in Children’s, and “Puddle” by Hyewon Yum in Picture Book. The awards are given annually by APALA — an affiliate of the American Library Association — to promote Asian-American and Pacific Islander culture and heritage based on literary and artistic merit. Previous award winners include Viet Thanh Nguyen — author of the Pulitzer Prize-winning "The Sympathizer" — and Celeste Ng, author of New York Times best seller "Everything I Never Told You." Several books also received honors, including “The Fortunes” by Peter Ho Davies in Adult Fiction, "Watched" by Marina Budhos in Young Adult Fiction, and "Momotaro Xander and the Lost Island of Monsters" by Margaret Dilloway. The awards are scheduled to be presented during the American Library Association conference in Chicago in June.